Despite the fact that Islam is the religion of well over one billion adherents, many in the West still express ignorance or confusion about its basic facts, precepts, and historical developments. Nevertheless, Muslims are growing throughout the world and in places such as Europe and North America. At the same time, a number of countries, including the United States, find themselves increasingly in conflict with Muslim nations and groups. These demographic and political factors are but two reasons why the study and understanding of Islam, the faith and the civilisation, are becoming more and more important in the contemporary world. In this course, we will examine the birth and development of Islamic civilisation, a rich tradition spanning nearly fourteen hundred years that has seen the flourishing of diverse religious, political, cultural, and social currents, and which continues today. With a greater focus on historical developments, this is a companion course to Introduction to Islam, which emphasises religious and cultural trends. 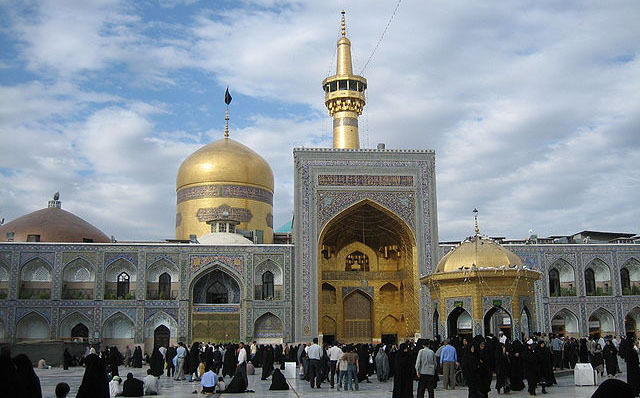 By the end of this class, students should have a keen appreciation for the genesis of Islam and early Islamic civilisation, the complex and varied composition of the ‘Islamic world’, and the still-ongoing processes resulting from the exchange of Islam and modernity, including political expression, radical Islam, and gender issues. Regular attendance of this course’s lectures and thorough reading of the assigned texts are critical to success in this class. The readings consist of a selection from the textbook, supplemented by articles and chapters from other books that illuminate various aspects of the topic. Students are expected to have read the assigned readings in advance of each lecture and to be prepared to talk about them in the discussion sections. Students will be evaluated on the basis of four factors: (1) two essays of five to ten pages (25% each), (3) final exam (35%), and (4) participation (15%). Sporadic ‘pop’ quizzes delivered at the beginning of class will offer students a chance to earn extra credit. At the end of this course, it is hoped that students will have developed a better understanding of the complex and multi-faceted societies and cultures of the Islamic world. Berkey, Jonathan Porter. 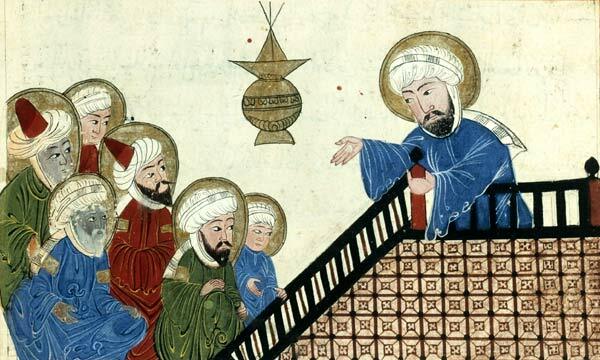 The Formation of Islam: Religion and society in the Near East, 600–1800. New York City: Cambridge University Press, 2003. Denny, Frederick Mathewson. An Introduction to Islam. 3rd ed. Upper Saddle River, New Jersey: Pearson Prentice Hall, 2006. Esposito, John L, ed. The Oxford history of Islam. New York City: Oxford University Press, 1999. 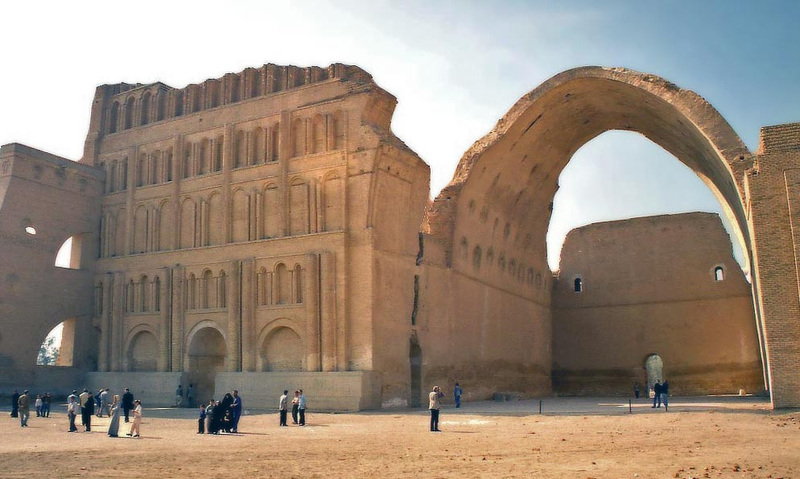 Kennedy, Hugh N. The Prophet and the age of the caliphates: The Islamic Near East from the Sixth to the Eleventh Century. A History of the Near East. 2nd ed. Harlow, England: Longman, 2004. Esposito, ed., History, 1-10: Fred McGraw Donner, ‘Muhammad and the caliphate: Political history of the Islamic empire up to the Mongol conquest’. Fred McGraw Donner, ‘Muḥammad’s political consolidation in western Arabia up to the Conquest of Mecca: A Reassessment’, The Muslim World 69.4 (October 1979), 229-247. Karen Armstrong, Muhammad: A Biography of the prophet, 1st paperback ed. (San Francisco: HarperCollins, 1993), 211-249. Moojan Momen, An Introduction to Shiʿi Islam: The History and doctrines of Twelver Shiʿism (Oxford: George Ronald, 1985), 11-22. Khalid Yahya Blankinship, ‘Imārah, khilāfah, and imāmah: The Origin of the succession to the Prophet Muḥammad’, in Shiʿite heritage: Essays on classical and modern traditions, ed. Lynda Clarke (Binghamton: Global Publications, 2001), 19-43. Fred McGraw Donner, ‘The Islamic conquests’, in A Companion to the history of the Middle East, ed Youssef M Choueiri (Malden & Oxford: Blackwell Publishers, 2005), 28-51. Esposito, ed., History, 10-32: Fred McGraw Donner, ‘Muhammad and the caliphate: Political history of the Islamic empire up to the Mongol conquest’. Esposito, ed., History, 32-61: Fred McGraw Donner, ‘Muhammad and the caliphate: Political history of the Islamic empire up to the Mongol conquest’. Esposito, ed., History, 347-393: Ira Marvin Lapidus, ‘Sultanates and gunpowder empires: The Middle East’. Halil İnalcık, The Ottoman Empire: The Classical age, 1300–1600, transl. from Turkish by Norman Itzkowitz and Colin Imber (London: Phoenix Press, 1973), 3-52. Esposito, ed., History, 395-431: Bruce B Lawrence, ‘The Eastward journey of Muslim kingship: Islam in South and Southeast Asia’. Esposito, ed., History, 475-507: Nehemia Levtzion, ‘Islam in Africa to 1800: Merchants, chiefs, and saints’. Ira Marvin Lapidus, A History of Islamic societies, 2nd ed. (Cambridge & New York City: Cambridge University Press, 2002), 443-449. Esposito, ed., History, 63-105: Vincent J Cornell, ‘Fruit of the tree of knowledge: The Relationship between faith and practice in Islam’. Harald Motzki, ‘The Collection of the Qurʾān: A Reconsideration of Western views in light of recent methodological developments’, Der Islam 78.1 (2001), 1-34. Jane Dammen McAuliffe, ‘The Tasks and traditions of interpretation’, in The Cambridge companion to the Qurʾan, ed. Jane Dammen McAuliffe (Cambridge: Cambridge University Press, 2006), 181-210. Esposito, ed., History, 107-153: Mohammad Hashim Kamali, ‘Law and society: The Interplay of revelation and reason in the Shariah’. Wael B Hallaq, ‘Islamic law: History and transformation’, in The New Cambridge history of Islam, ed. Robert Irwin, vol. 4, Islamic cultures and societies to the end of the Eighteenth Century (Cambridge: Cambridge University Press, 2010), 142-183. Moojan Momen, An Introduction to Shiʿi Islam: The History and doctrines of Twelver Shiʿism (Oxford: George Ronald, 1985), 61-85. Marshall G S Hodgson, ‘How did the early Shîʿa become sectarian?’, Journal of the American Oriental Society 75.1 (January–March 1955), 1-13. Esposito, ed., History, 269-303: Majid Fakhry, ‘Philosophy and theology: From the Eighth Century C.E. to the present’. Esposito, ed., History, 155-213: Ahmad Dallal, ‘Science, medicine, and technology: The Making of a scientific culture’. Esposito, ed., History, 215-267: Sheila S Blair and Jonathan M Bloom, ‘Art and architecture: Themes and variations’. Esposito, ed., History, 509-547: John Obert Voll, ‘Foundations for renewal and reform: Islamic movements in the Eighteenth and Nineteenth Centuries’. Esposito, ed., History, 549-599: Seyyed Vali Reza Nasr, ‘European colonialism and the emergence of modern Muslim states’. Nikki Ragozin Keddie, An Islamic response to imperialism: Political and religious writings of Sayyid Jamāl ad-Dīn ‘al-Afghānī’ (Berkeley & Los Angeles: University of California Press, 1968). 3-35. Moojan Momen, An Introduction to Shiʿi Islam: The History and doctrines of Twelver Shiʿism (Oxford: George Ronald, 1985), 246-299. Yitzhak Nakash, Reaching for power: The Shiʿa in the modern Arab world (Princeton: Princeton University Press, 2006), 1-15, 129-164. Olivier Roy, The Failure of political Islam, transl. from French by Carol Volk (Cambridge: Harvard University Press, 1994), 1-47. Bassam Tibi, The Challenge of fundamentalism: Political Islam and the new world disorder, updated ed. (Berkeley: University of California Press, 2002), 179-214. Emmanuel Sivan, Radical Islam: Medieval theology and modern politics, enlarged ed. (New Haven & London: Yale University Press, 1990), 16-82. Gilles Kepel, Jihad: The Trail of political Islam, transl. from French by Anthony F Roberts (Cambridge: Harvard University Press, 2002), 136-158. Peter Mandaville, ‘The New transnationalism: Globalising Islamic movements’, in The New Cambridge history of Islam, ed. Robert W Hefner, vol. 6, Muslims and modernity: Culture and society since 1800 (Cambridge: Cambridge University Press, 2010), 198-217. Olivier Roy, The Failure of political Islam, transl. from French by Carol Volk (Cambridge: Harvard University Press, 1994), 60-74, 194-203. Leila Ahmed, Women and gender in Islam: Historical roots of a modern debate (New Haven & London: Yale University Press, 1992), 208-248. Amina Wadud, Qurʾan and woman: Rereading the sacred text from a woman’s perspective (New York City & Oxford: Oxford University Press, 1999), . Katharina von Knop, ‘The Female jihad: Al Qaeda’s women’, Studies in Conflict & Terrorism 30.5 (May 2007), 397-414. Ziba Mir-Hosseini, Islam and gender: The Religious debate in contemporary Iran (Princeton: Princeton University Press, 1999), 213-279. Esposito, ed., History, 433-473: Dru C Gladney, ‘Central Asia and China: Transnationalization, Islamization, and ethnicization’. Esposito, ed., History, 601-641: Yvonne Yazbeck Haddad, ‘The Globalization of Islam: The Return of Muslims to the West’. Raphael Israeli, Muslim minorities in modern states: The Challenge of assimilation (New Brunswick: Transaction Books, 2009), 155-204. Paolo Sartori, ‘Towards a history of the Muslims’ Soviet Union: A View from Central Asia’, Die Welt des Islams 50.3–4 (2010), 315-334. Alexandre Benningsen, ‘Religion and atheism among Soviet Muslims’, in Islam in the contemporary world, ed. Cyriac K Pullapilly (South Bend: Cross Roads Press, 1980), 222-237. Humayun Ansari, ‘Islam in the West’, in The New Cambridge history of Islam, ed. Francis Robinson, vol. 5, The Islamic world in the age of Western dominance (Cambridge: Cambridge University Press, 2010), 686-716. Esposito, ed., History, 643-690: John L Esposito, ‘Contemporary Islam: Reformation or revolution?’. Abdulaziz Sachedina, The Islamic roots of democratic pluralism (New York City & Oxford: Oxford University Press, 2001), . Omid Safi, ‘The Times they are a-changin’—A Muslim quest for justice, gender equality, and pluralism’, introduction to Progressive Muslims: On justice, gender and pluralism, ed. Omid Safi, (Oxford: Oneworld, 2003), 1-29. Final exam at end of term.